ASYNC is the premier forum for researchers to present their latest findings in the area of asynchronous design. 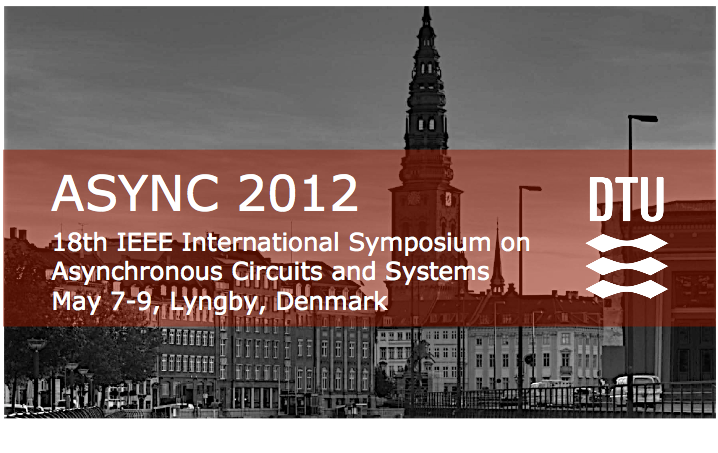 This year ASYNC is co-located with The 6th ACM/IEEE International Symposium on Networks-on-Chip (NOCS 2012). The two symposia will be hosted by DTU Informatics at the Technical University of Denmark in the Copenhagen of Denmark, May 7-11, 2012.